Congratulations to Milanna Heberle winner of the 2018 MLTAWA Principal’s Award. Milanna was nominated by Rossmoyne Senior High School Languages teachers. 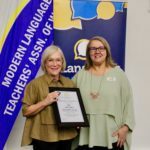 The award was presented on 31 October at the MLTAWA’s Principal’s Award Event at Willetton Senior High School. 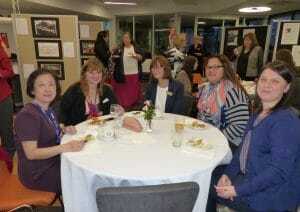 RSHS teachers Bee Yip, Kate Williams and Kyoko Walsh were there to celebrate Milanna’s win. 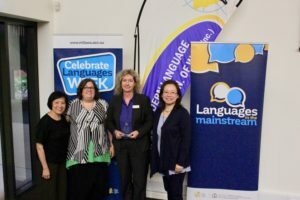 Milanna Heberle is Principal at Rossmoyne Senior High School, a school that has always had a strong Languages program, offering German, French, Japanese and Chinese as part of its Gifted and Talented program. 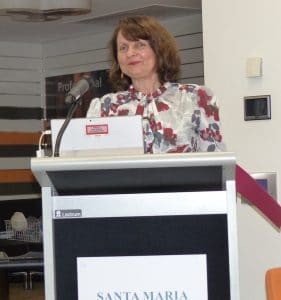 Milanna’s strategic leadership is extraordinary and has led to Rossmoyne Senior High School going from being a flagship Languages school, to becoming a state-wide Lead Language School. Among many initiatives, Rossmoyne provides German distance tuition to primary students in the Pilbara town of Newman which allows opportunity to offer a full-time load to a Rossmoyne teacher while also solving the issue of access to quality language teaching in the regions. 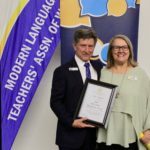 By seeking out the very best, experienced language teachers Milanna has built up a diverse team of teachers and assistants, that works in a flexible learning space and adopts ‘out of the square thinking’ to timetable and deliver language learning. The judging panel commented that ‘by reaching out to other schools and providing support, Ms Heberle is growing the leadership qualities of her staff. 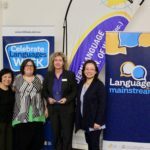 Her willingness to be a learner provides a very powerful example to students.’ Milanna Heberle was also noted for her engagement within and beyond the school community to promote multilingualism. Congratulations to Chris Booth winner of the 2017 MLTAWA Principal’s Award. 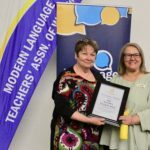 The award was presented on 6 September at the MLTAWA’s Principal’s Award Event at Santa Maria College, Attadale. This event was an opportunity to honour the six award finalists, listed below, and also for the MLTAWA to showcase its Languages Week and Languages in the Mainstream activities and competitions to an audience that included principals and school and community representatives. Read about the 2017 Finalists here. 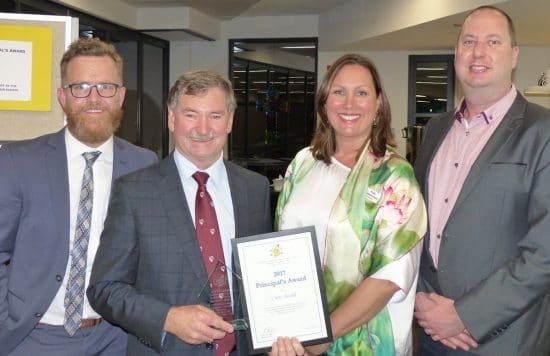 Chris Booth is the principal of Willetton SHS which, with a student population in excess of 2200, is one of the largest and most successful public secondary schools in Western Australia. The Languages learning area is one of the strengths of the school in terms of student engagement and achievement, and staff professional practice. Chris is an active supporter of the learning of Languages and promotes this learning to students, staff and community. Students study at least one language as a compulsory subject from Years 7-9, and many continue until Year 12. Under Chris’ leadership, Languages are actively valued in the school culture; explicitly in statements about teaching and learning to students and parents, and implicitly in the schools’ planning, timetabling and resourcing for languages. The current situation for Languages at Willetton SHS is a significant turn-around from 2009 when Languages was an underperforming area with high staff turnover, low student enrolment, retention and achievement. Less than 1% of Year 12 students were studying a language. Chris reflected on this position, and took action towards improvement. 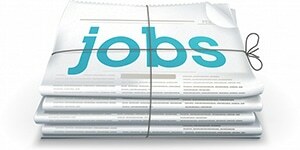 He recognised that language learning is a life-long process and needs sustained learning during schooling. To this end, he developed a leadership restructure in the school and reallocated budgets to create a new position of Head of Languages, equal in standing to the Heads of more traditionally significant areas of English, Maths and Science. 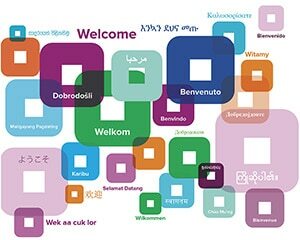 This raised the status of the learning area and created a new position that would be part of the school’s senior leadership team – Languages now has a voice that influences decisions in the school and staff, student and community attitudes have been changed for the better. Chris’ vision and desire to see all students do their very best has had a dramatic influence on student achievement and renewal of the Languages learning area. 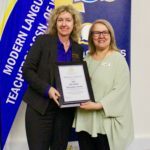 Student achievement and motivation have significantly benefited; retention in language learning beyond the compulsory years has increased by over 450%, with over 1800 students now studying languages at Willetton. More than 20% of Year 12 students are now taking a language at ATAR level. A new Languages department building developed in consultation with student and staff and including nine teaching rooms and several break out areas where students and staff are able to work together. Ongoing negotiation with the School Board to determine appropriate budgeting for languages. 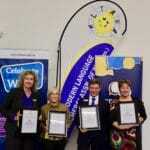 Funding for special purpose projects, such as the Native Speaker Tuition Program, the Languages Hub program, where students in Year 6 from partner primary schools attend Willetton SHS one morning each week to learn Japanese as part of an academic extension program. Structuring the timetable to allow and encourage students to study more than one language. 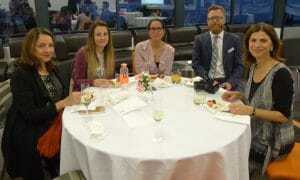 Leading teachers and students in the enhancement and development of partnerships with such external groups as The Japan Foundation, Italian Consulate, Korean Education Centre and Alliance Française – time and funding are devoted to students’ participation in activities arranged through these partnerships. Encouraging student participation in incoming and outgoing school trips and exchanges. Supporting the Languages department staff in their role as a Teacher Development School. Encouraging teacher participation in Professional Learning as a team and providing the funding/resourcing for this to occur. Leading the school’s annual Multicultural Week.